I've uploaded another video tutorial. 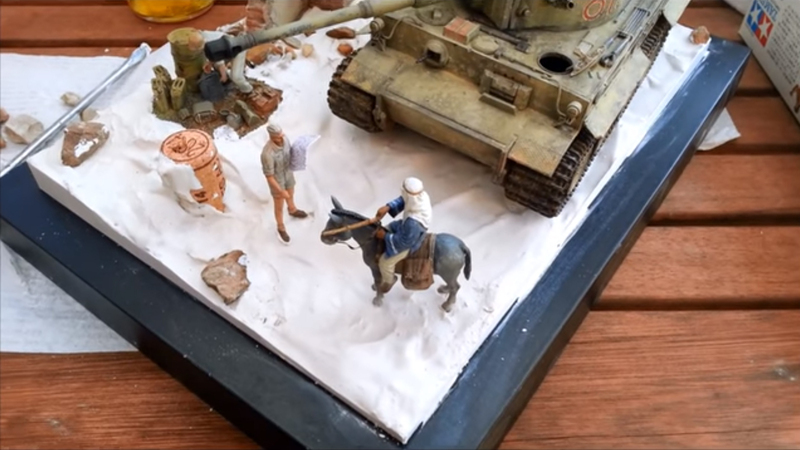 This time I show you how to use plaster of Paris to form the ground on a diorama. I have already build up the height I need using polystyrene cut to size. The plaster adds texture and contours to the diorama base, and makes a convincing ground surface to work with. Part II of this video will concentrate on then detailing up the plaster surface with rocks, debris, sand, , grass and shrubs and the like.